Ready to gear out your Kawasaki Teryx with some new accessories. We thought you might, here at Side By Side Sports we have all of the Teryx parts you will need for your UTV. If you want to boost your Teryx to a whole new level, you will want to check out or performance sections which include all you will need to give your Kawasaki Teryx the power you are looking for in a side by side. If you are looking for an upgrade on the looks and durability on your Teryx we have everything you will need. Our accessories and parts selection of exhaust, tires, wheels, bumpers and skid plates is huge. 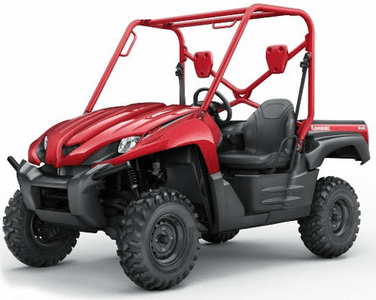 If you are looking for protection from the environment, you may want to check out the UTV accessories sections for windshields, enclosures, and roofs for your Kawasaki Teryx side by side. If you ever need any help with our selection, please feel free to call and talk with one of our sales staff.